Properties in Chateau de Puilaurens average 4.6 out of 5 stars. Property 8: Matemale house in the village !! Property 9: Downtown Gite Limoux Of Character, Close Aude Equipped any comfort. Property 25: Luxury 145m2 apartment with view & SPA - 10 pers. Property 30: 1 bedroom self contained apartment with own entrance and private terrace. 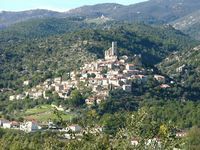 Property 35: Enjoy indian summer in beautifull south of France at discount price!